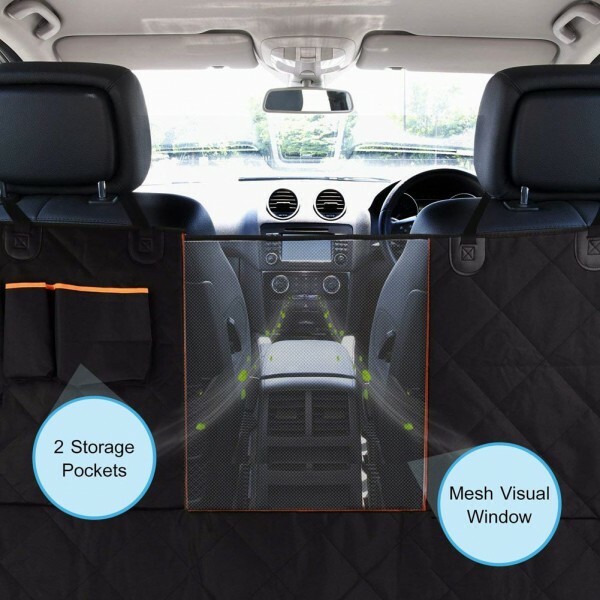 【Mesh Viewing Window & Storage Pocket:】 This dog seat cover convertible dog car hammock has a mesh window barrier that allows pets and you to see each other easily for safer driving. 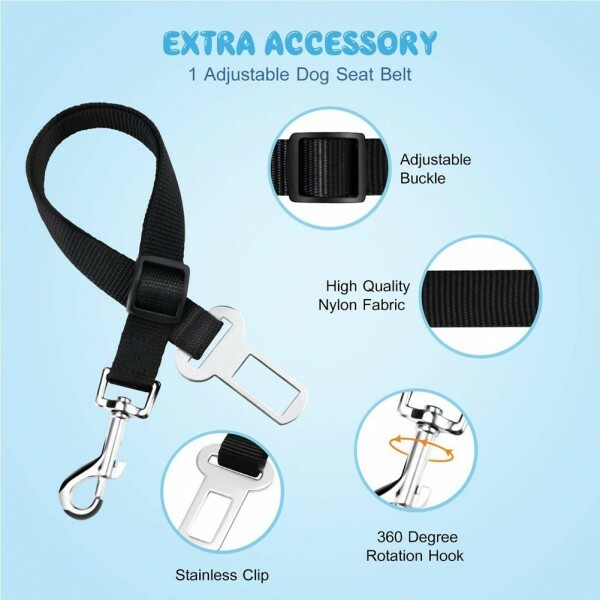 Extra pocket design for easy storing your dog’s toys or food. 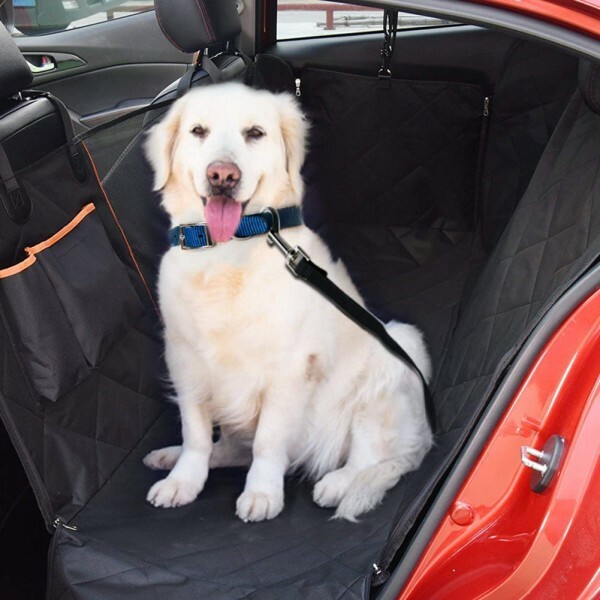 【Dog Hammock With Side Flaps:】 Side flaps makes it easier for your dog to get in or out of car, it can also protect your car door from scratch. When zip up for a full both sides it can be used as a dog hammock. 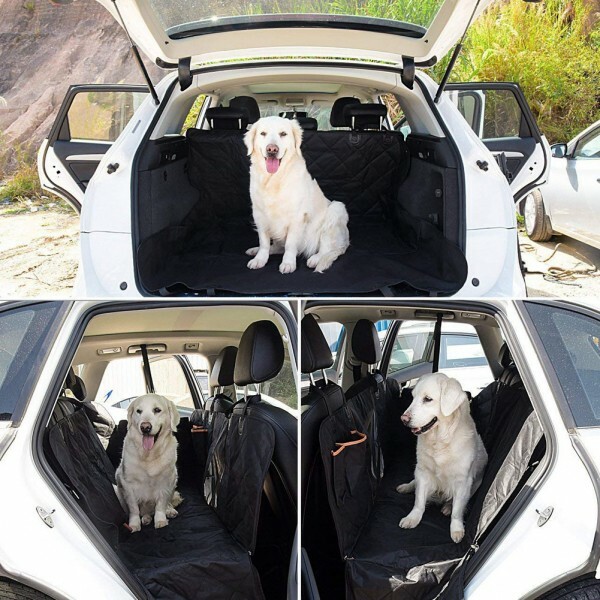 【Keep Car Safe & Clean:】 Pets like playing and jumping from rear to front seat during driving. 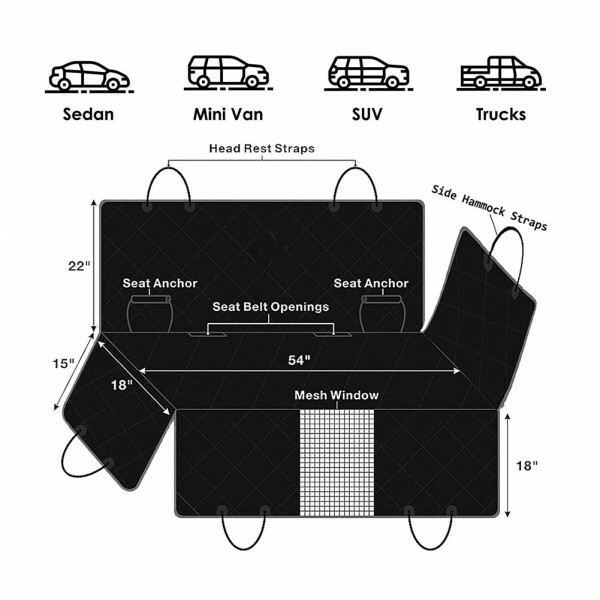 They could Scratch and wear the seat upholstery out. 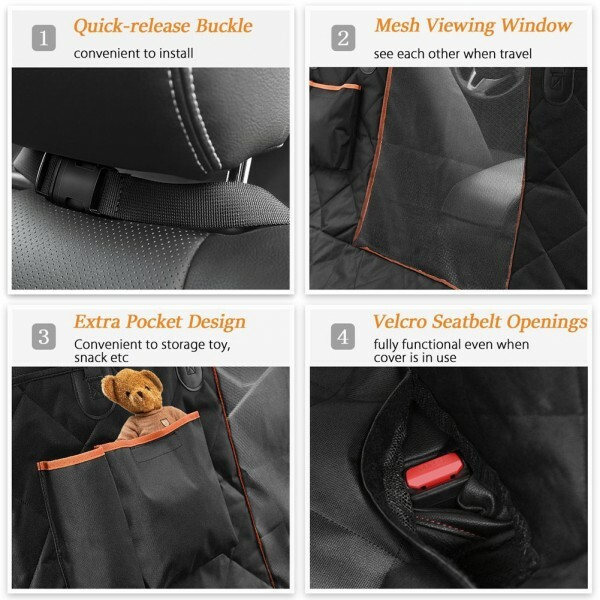 The cover can keep pet stay at the rear seat and protect car seat from the damage pet caused. 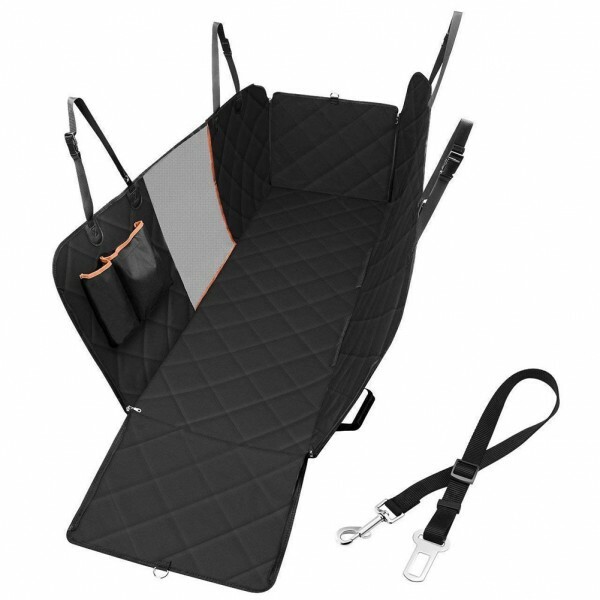 【Excennlent Durable Material:】 This pet seat cover use special multi-layer process. 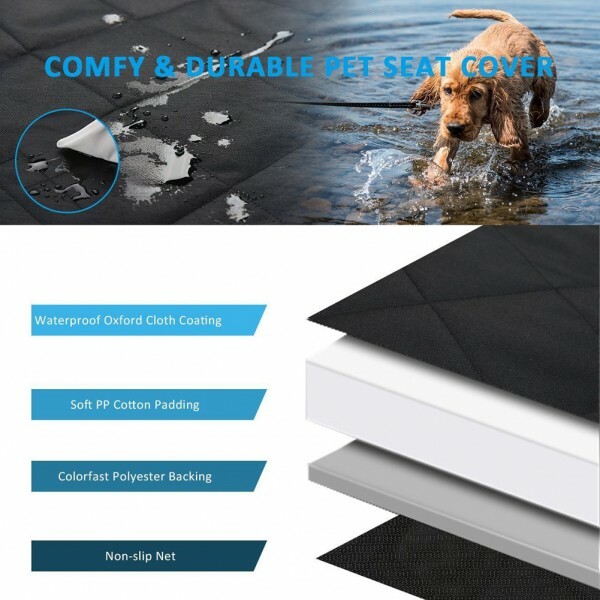 The combination of 600D Oxford Cloth,comfortable PP cotton mat, polyester and non-slip rubber backing,totally keep your seat from any liquid, dirt, scratches, hair & fur. Etc. No more endless sweep.